Your local award-winning independent estate agents and letting agents. Young, dynamic, energised and with a can-do attitude our significant sales success is across all price ranges and areas of the market and includes not only modest first time buyer homes but also land, new homes, equestrian property and some of the most prestigious homes in our area. As your local estate agency, we are passionate about supporting local charities, initiatives and schools and, whenever possible, we source our products and services from local suppliers. Our fantastic team, has a huge marketing budget, which, combined with the best of modern technology, ensures that our clients’ homes are viewed by the largest possible audience. 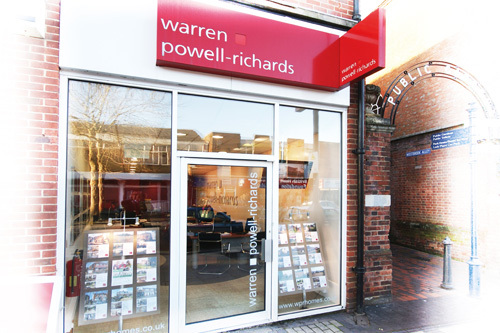 However, we never lose sight of the fact that estate agency is a people business and, as you will find, the people at Warren Powell-Richards are welcoming, warm and friendly, yet exceptionally driven and focused about everything we do. 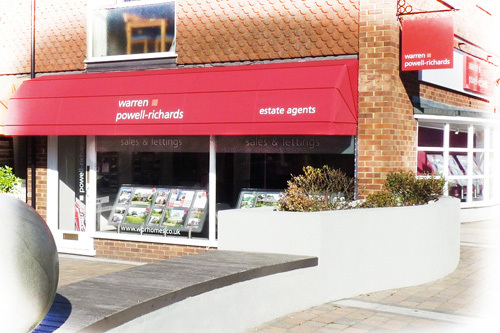 Our Alton branch is located right on the High Street, with a taxi space and limited short-stay car parking space just outside if you’d like to see us for a quick chat. There are also larger pay and display car parks within walking distance. Alternatively, give us a call or send us an email and we’ll get back to you.